There are few industries where the visual appearance of packaging is as important as it is in the cosmetics industry. Any product which is designed to care for you and make you beautiful must “glow” at first glance, often even in the truest sense of the word. 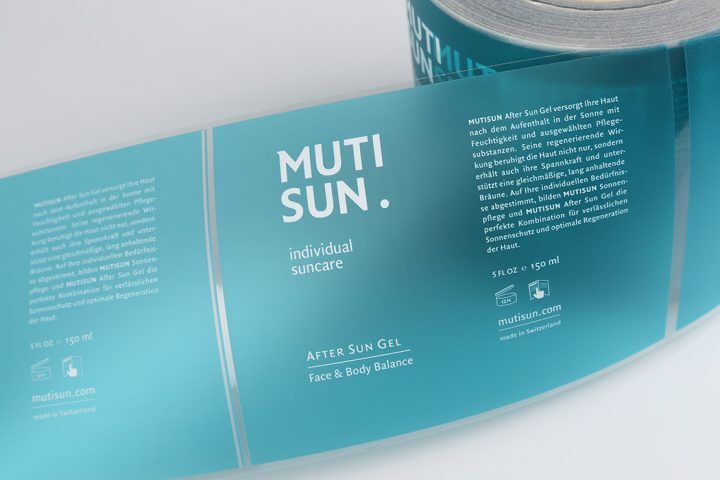 This is not only the case for designs, for example with gold foils, metallic films or elegant opaque white, but also for the material quality of cosmetics labels and the corresponding label printing. 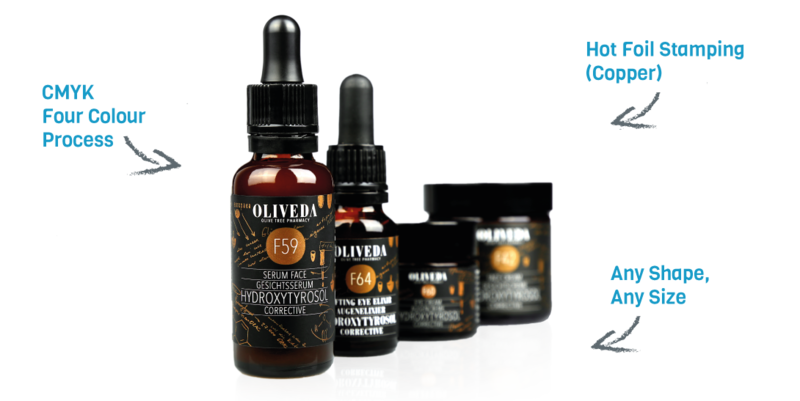 As we at label.co.uk are entirely dedicated to producing the perfect labels, we understand what our clients require for their high-quality personal-care products. We help brands refine any packaging – boxes, jars, tubes and tins – for perfume, make-up, soaps, oils and all other products designed to care for your teeth, hair, face and body. We recommend roll labels for their outstanding machine-processing qualities. Adhesive labels for personal-care products not only need to look good, they also need to fulfil other stringent requirements and be resistant to various strains, without becoming unsightly. They must remain permanently adhesive and legible despite the effects of water, oils and other elements that naturally have an impact on cosmetics labels when they are handled. This is not only the case for aesthetic reasons but also because of the labelling requirement for cosmetics packaging. 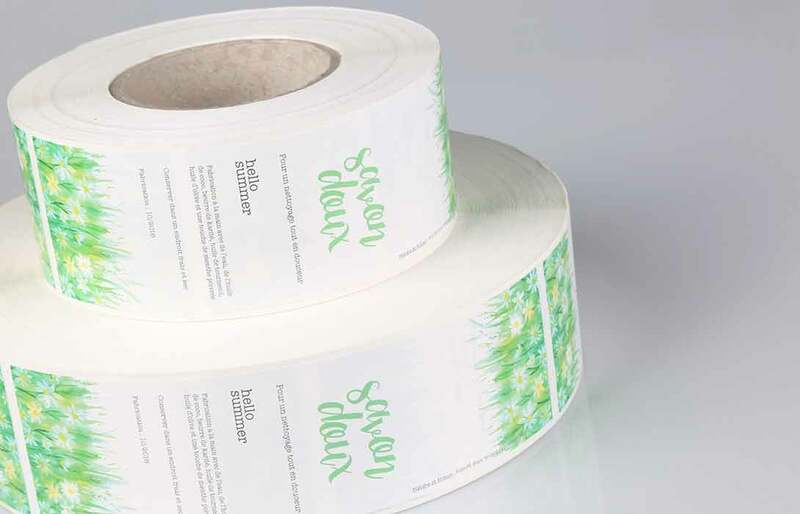 Our roll labels for cosmetic products guarantee to you that the list of ingredients will remain visible at all times and will not become damaged or faded. 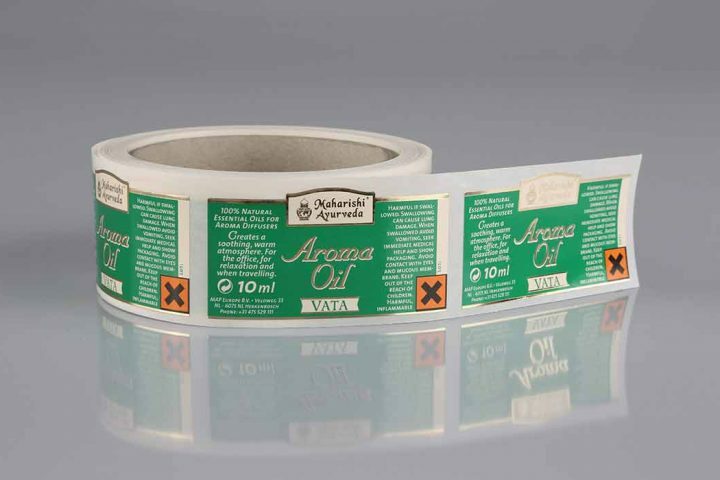 We manufacture our no-label look adhesive labels on polypropylene film. This film adapts well to uneven surfaces or the rounded sides of jars. This means that they are practically invisible to the consumer. Such cosmetics labels are often used for perfume bottles and jars of cream, as printing on film is better value than printing directly on the jar or bottle. 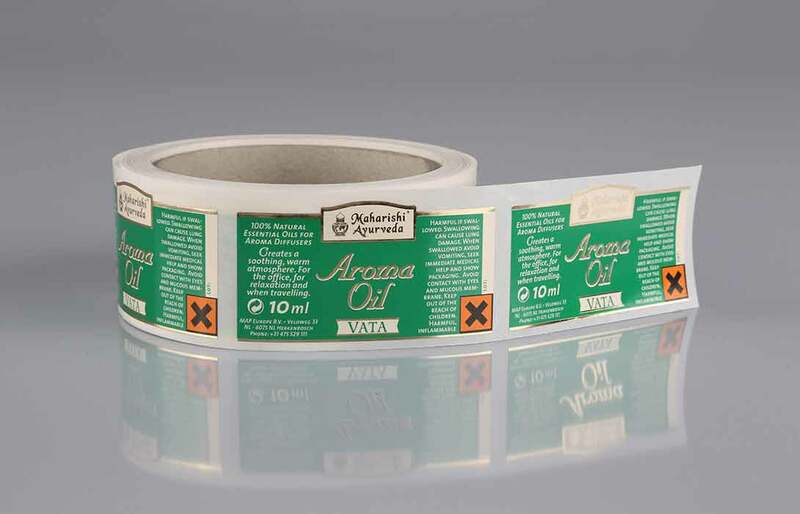 In this case, we would recommend that you order transparent roll labels and apply them by machine in order to avoid trapped air bubbles and the associated structural formations in the adhesive layer.Read more about clear and transparent labels here. However, the polypropylene film does not necessarily need to be transparent and designed using the no-label look. Of course, we are also masters of printing on gold and silver films as well as opaque white or embossed film finishes. If you would like to find out more or would like to ensure you have the right materials from a visual and tactile perspective, simply order a free-of-charge sample book. We will send it to your office or home without delay so that your order is not unnecessarily delayed. At label.co.uk, you can process your order quickly and easily online. Using our calculator, you can find out very quickly what your adhesive labels will cost and when they will be delivered. Whether you need transparent labels for jars of cream or refined embossed polypropylene film labels – we will deliver on schedule and at competitive prices. Of course, we will also be there for you if you have further questions. Our team will be happy to advise you by telephone or via email if you are uncertain of relative benefits of films and film embossing, gold film, silver film or opaque white, or what other options there are for putting the finishing touches to your individual product. The “no-label” look is relatively common across the cosmetics and personal care industries. A printed, transparent label is utilised to give the effect of screen printing (designs directly printed on the packaging container). Transparent printed labels on rolls are much cheaper and more accessible to to smaller businesses launching a cosmetic product. Generally speaking, either Polyethylene (PE) or Polypropylene (PP) materials are best suited to household and chemical product labels. Both materials are polymeric, available as both a white and transparent stocks and do not absorb water or oil. We are able to print custom cosmetics labels which feature silver, gold, copper and rose gold hot foil stamping. This is a technique used by many brands to gain a very premium look. Do you have specific questions regarding a current requirement or project? Please feel free to leave us a message.